Can I change the title of the 'Department' field on the contact form? 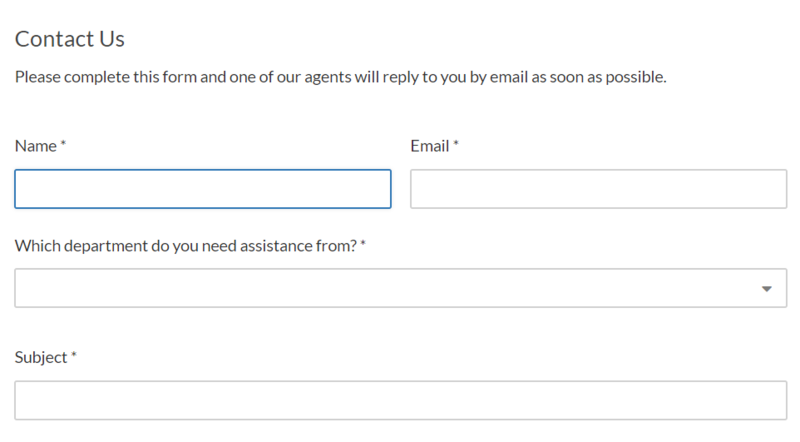 Is there a way to change the 'Department' field title on the contact form? We'd like to change this to something along the lines of "Which department do you need assistance from?" Go to Admin > Setup > Languages. For your default language, click 'Edit Phrases'. 3. Under 'User Interface Phrases', click 'Portal Forms'. You'll be presented with a list of different phrases that relate to your form. You can customize any of these. 4. Search for 'portal.forms.label_department' and enter your new title in the 'Custom' column (the column furthest to the right). 5. Scroll down to the bottom of the page and click 'Save'. When you view your portal now, the title should be updated.